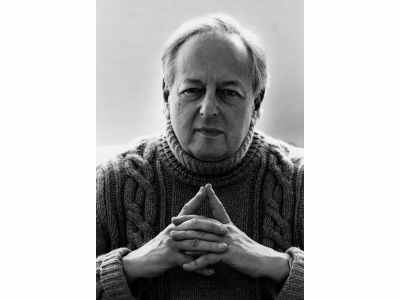 Kalamazoo, MI, October 13, 2016 - The Kalamazoo Symphony Orchestra is thrilled to announce that Maestro André Previn will write a ‘Concerto for Orchestra’ to be premiered as part of the Orchestra’s finale concert of its 100th Anniversary season in 2020-2021. Composer, conductor, and pianist André Previn left his native Germany in 1938 to live in Paris and to subsequently settle in Los Angeles in 1940. His early career of orchestrating film scores at MGM led quickly to conducting engagements of symphonic repertoire and on to an international career as Music Director of such orchestras as London, Los Angeles, Oslo and Pittsburgh. In the 1980s, he concentrated increasingly on compositions for the concert hall and opera. His own richly lyrical style underscores his love of the late Romantic and early 20th-century masterpieces of which his interpretations as conductor are internationally renowned. His first opera, A Streetcar Named Desire, which Previn set to a libretto by Philip Littell based on Tennessee Williams’ play, had its premiere at the San Francisco Opera in 1998 with soprano Renée Fleming in the role of Blanche du Bois and continues to have numerous performances worldwide. Previn’s 1998 recording of the work with the San Francisco Opera Orchestra won the Grand Prix du Disque. Houston Grand Opera premiered Previn's second opera, Brief Encounter, in May 2009. Every Good Boy Deserves Favour, written for the London Symphony Orchestra in collaboration with playwright Tom Stoppard, continues to be performed worldwide, with a Carnegie Hall premiere in May 2011. Music for Boston premiered in 2012 at Tanglewood, and was commissioned to honor the festival's 75th anniversary. Other highlights from his recent orchestral works include a Double Concerto for Violin and Violoncello written for violinist Jaime Laredo and cellist Sharon Robinson which was premiered by the Cincinnati Symphony Orchestra in November 2014, and has since been performed by symphonies across North America and Europe. He continues to expand his orchestral lyricism with Can Spring Be Far Behind? which premiered at Eastern Music Festival in July of 2016, and Almost an Overture which will see a world premiere as the first piece for the inaugural season of the Newport Contemporary Music Festival in July 2017. Following the creation of multiple violin concertos and sonatas, André Previn’s longstanding collaboration with violinist Anne-Sophie Mütter continued with the world premiere of his Nonet for Two String Quartets and Contrabass which premiered in August 2015 as part of the Edinburgh International Festival. The “Mütter Virtuosi" ensemble has since performed the nonet while on tour across Europe and Asia. Previn has also written works for Vladimir Ashkenazy, Yo-Yo Ma, Renée Fleming, Janet Baker, Sylvia McNair, Lynn Harrell, and Barbara Bonney. He has received numerous awards and honors for his outstanding musical accomplishments, including both the Austrian and German Cross of Merit, and the Glenn Gould Prize. He is the recipient of Lifetime Achievement Awards from the Kennedy Center, the London Symphony Orchestra, Gramophone Classic FM, and in 2010 was honored with a Grammy Lifetime Achievement Award from The Recording Academy. He has also received several Grammy awards for recordings, including the recordings of his own Sonata for Violin, "Vineyard" performed by Gil Shaham, and Violin Concerto "Anne-Sophie" featuring Anne-Sophie Mütter with the Boston Symphony Orchestra. In 1999, he was honored as Musical America's "Musician of the Year," and was knighted by Her Majesty Queen Elizabeth II in 1996. André Previn’s concert music is published by G. Schirmer, Inc. and Chester Music Ltd. The “Concerto for Orchestra” is generously underwritten by the Robert and Marianne Denes Fund. The Kalamazoo Symphony Orchestra is grateful for their kind support which makes this exciting project possible.